Rescue an underdog - Become a Superstar with VT Dog Rescue. Bringing dogs from the South into loving homes in Vermont. So many sweet dogs saved! More Superstar stories to share soon! Deb adopted, Carter became Mason, and they have spent 2 amazing years together. Deb just shared some incredible news - Mason has passed his certification to be a VT Therapy Dog!! This is a HUGE achievement they worked hard to obtain. From being on the Put to Sleep list in a high kill shelter to becoming a certified Therapy dog - what an amazing journey! Rescue dogs ROCK!!! 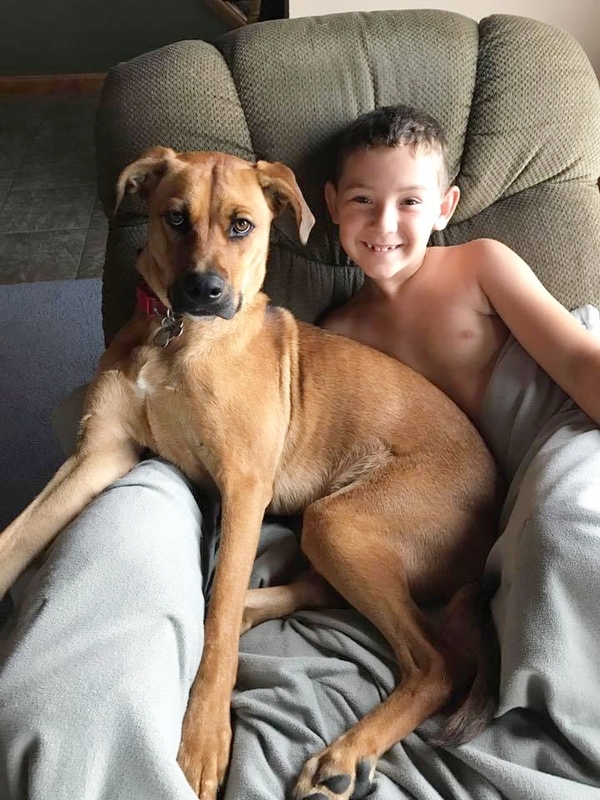 Read how one of our adopting families made the decision to add a dog to their family and how it changed their life. What prompted you to seek a rescue dog? We decided to look at rescue dogs because we have 2 young boys and wanted to teach them about responsibility. There are so many dogs out there that adults are not being responsible for, and that's not ok. BUT!!! We can do the right thing and adopt a dog and show this dog what a great life looks like. What made you choose this dog? We went down to Hinesburg Police Station when the shipment of dogs came in, and we left it up to our 6 year old. Told him to look and interact with all the dogs, and pick one he loved. So we chose "Peter". He had two other brothers Paul and Perry. We would have taken all 3 if we could have. They were so sweet. Since we have a family sugaring business, we switched his name to Syrup. My Dad has a dog named Maple, and we do the sugaring business with him. So how fitting - we have a Maple and a Syrup. What do you remember about the first day with your dog? I remember how my son started crying as we drove away with Syrup. He was so happy that we got him and so sad that someone could leave him on the side of the road in South Carolina. We knew we made the right decision. When we got him home, he just fell into a routine with us, and we've loved him ever since. He now sleeps with us in our bed. He's spoiled. And that's how it should be with a dog. How has this dog changed or impacted your life and your family? We find ourselves laughing so much more. I mean what's not to love about having a puppy in your house? They are so goofy. My boys have learned more about responsibility, too. They have to help with Syrup. We have a 12 year old Shih Tzu as well so this is good for them. What would you say to other people/families thinking about adding a canine member to their home? We would say do your research and make sure you find the right fit for your house. But do the right thing and adopt a dog into your home. There are so many dogs out there that need loving homes. It's not their fault they are left out on the streets. 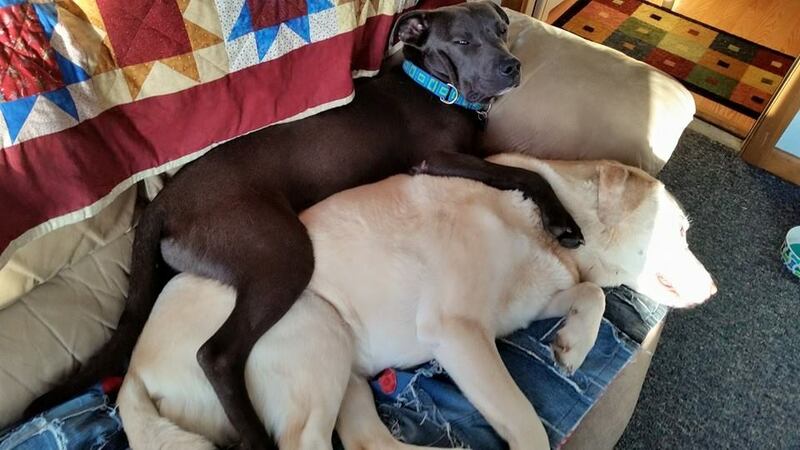 These are amazing dogs that have so much love to give. We are so thankful for VT Dog Rescue and our Syrup!!! 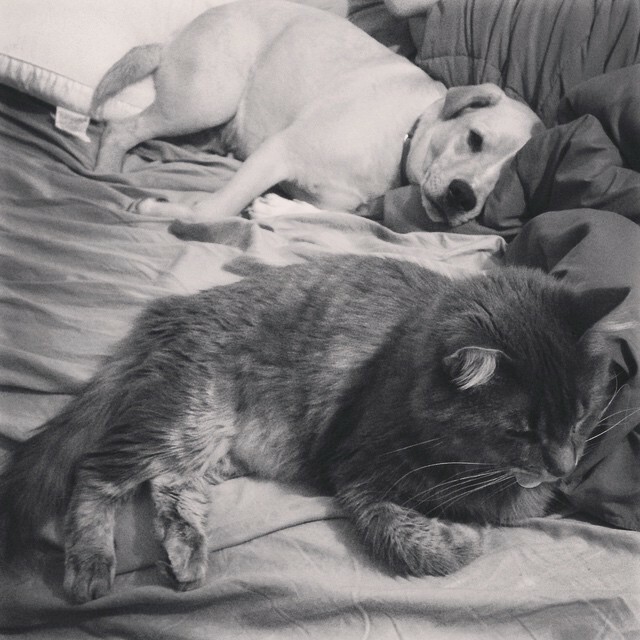 We Love, Love, Love to see pictures of our VT Dog Rescue pups enjoying their new homes! This Darlington Darling was known as Krissy and just one week ago she was on the dreaded Put To Sleep list. She is now Zoe and lovin' life with her mom & dad in VT. Thank you Steven & Simone for giving a rescued shelter dog a second chance! This handsome Lab mix was one black dog in a sea of many at a high kill shelter in South Carolina. Now this cheerful, friendly boy is living the good life in NY with a mom & dad who love him. 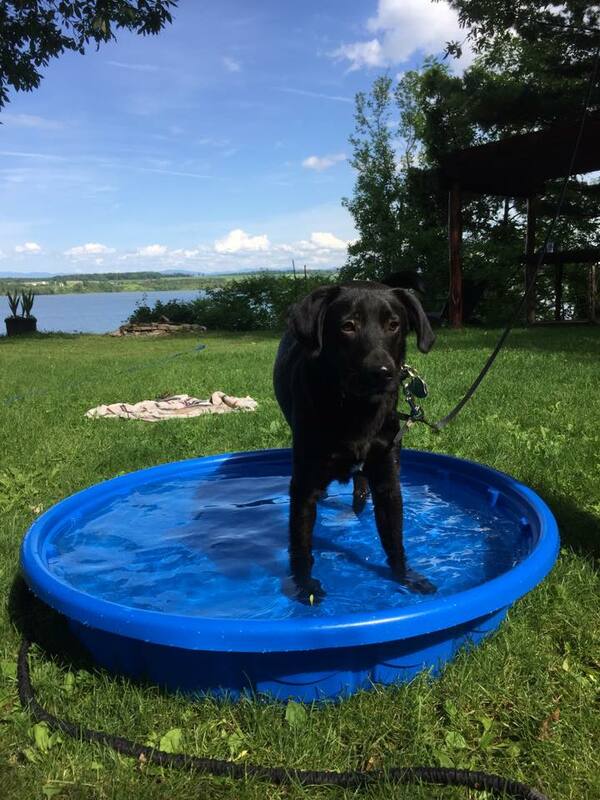 He also lives right on the lake so you can imagine the fun he's having on these hot summer days! 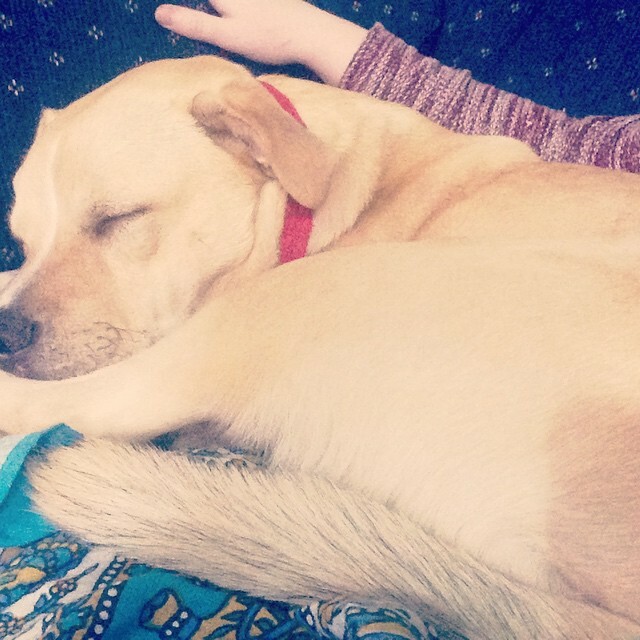 Thank you Jennifer & Michael for giving a rescued shelter dog a chance! 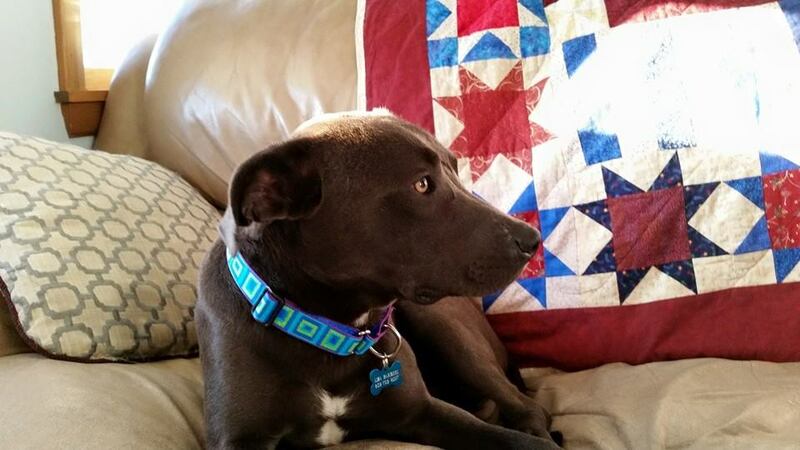 Kaia is living the good life with her new family! This beautiful girl now has an amazing mom & dad, a little one, Jasper, who will grow up with her, and her new best friend, Shamus. Kaia & Shamus had an almost instant bond when they met. She can spend lots of time exploring the woods with her boy & swimming together in the nearby pond. I see many fun adventures in her future. She may also help her dad train for a marathon! Kaia is a busy and very happy girl. Brian, Anna, Shamus & Jasper - you are Superstars! Thank you SO much for adopting! Eddie found his Dream Home! Ahhh... Eddie is living the good life in Vermont! He has awesome parents, an amazing buddy, Beemo, and so many fun adventures ahead of him! His mom says Eddie & Beemo are already snuggling and grooming each other. Brotherly love! "Throughout the adoption process I felt assured that Eddie would be a great fit for us, but he is actually a perfect fit. He walks great on a leash, is intelligent, calm and very sweet. Our cat agrees, and the two have become good buddies already! It's only been a few days but I can't imagine not having Eddie around, he's become my constant companion and I love him very much. I feel very fortunate that we found each other." VT Dog Rescue is forever thankful to Emily & Dylan for saving Eddie's life and giving him a loving home! Dollester (now Davison) is HOME! Animal control picked up Dollester (now Davison) as a stray and dumped him at an overcrowded high kill shelter in SC. He was put in an outdoor kennel with other dogs and he waited. He watched people come & go and wondered why no one came for him. Meanwhile, in NH a family decided they were ready to adopt - and this time, they specifically wanted a rescue dog. 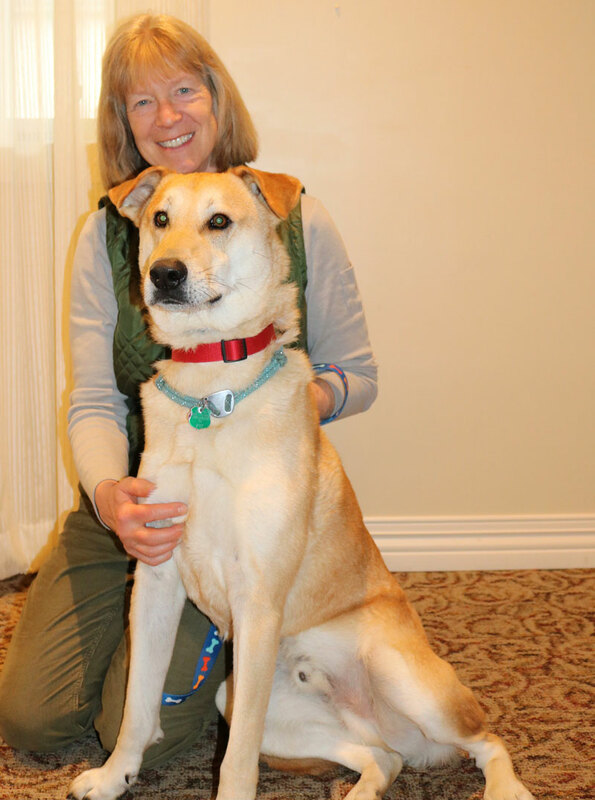 After contacting VT Dog Rescue, Lisa saw this handsome boy and fell in love. He is now enjoying the good life with his very own family and an awesome big sister to show him how sweet life can be as a dog. We are all SO happy for you Davison! You beat the odds and are thriving with all the love. Thank you Lisa for rescuing an Underdog and becoming a Superstar!